The Capitol Steps return to the Arts Center for Rochester's favorite New Year's Eve tradition of politically based satire ripped from current headlines. 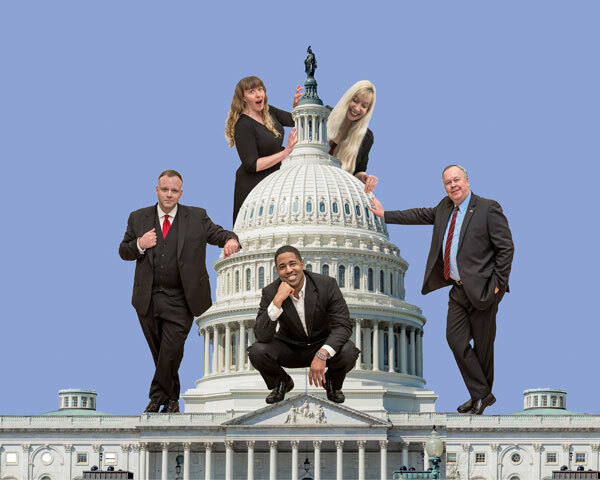 Irreverent, uproarious, and adamantly bi partisan, the award-winning troupe has been featured numerous times on primetime TV, as well as four times a year on its popular National Public Radio specials. Now in its 37th year, The Capitol Steps has recorded an album of laugh-out-loud song skits a year, and 2018 promises to be no exception. Expect parodies skewering the greatest political foibles of the day. Quite simply, The Capitol Steps puts the “mock” in democracy. Monday, Dec. 31 | 2 p.m.
Monday, Dec. 31| 6:30 p.m.